Unleash a Leadership DNA in You! Leader is a person who has the power to influence others in a positive manner. Actually, a leader can’t be defined only within a few words, it takes many more! Let’s take an example of our personal lives. As we grow up, we meet with many different kinds of people as friends, teachers, colleagues, strangers etc. and from each of them we learn experiences, some of them change our lives completely in a positive way. And each one of us has a person, who motivates us, inspires us and greatly changes the way we look towards life. Such persons is a True Leader. Today we are surrounded by many leaders like in government, business, schools, colleges, coaching and politics and so on. But only those are true leaders who make a positive impact on us. 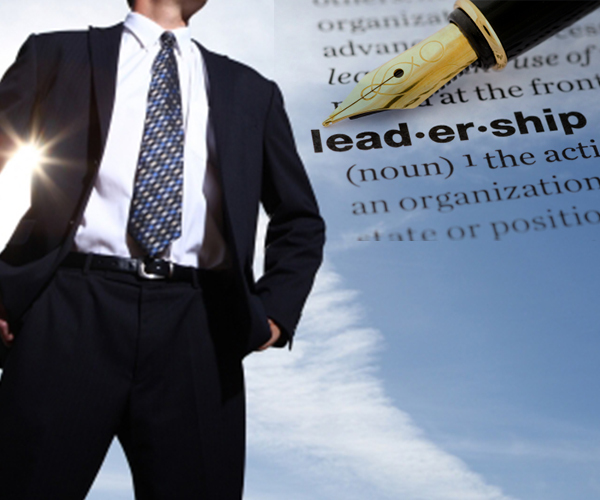 How to Transform Yourself into a Leader? Yes! You can also be a Leader. As Mahatma Gandhi said “If you want to Change the World, Change yourself first”. Everyone has a leadership potential hidden inside; the only need is to change a few things in you and lead towards the way you want yourself to be. Dressing helps you to make a great first impression on others and it’s the common tendency that people can’t forget an outstanding person with attractive and decent dressing. And when you dress well and look good, it changes the way you carry yourself also it makes you a person that should be respected and people become more attentive towards you. # Useful Tip- Spend less on clothing, buy elegant clothes! If your self-esteem is low, everyone will try to let you down and being constantly teased by others will not let you make even smallest of decisions. So firstly, develop self-confidence in you because having a high opinion about yourself is something worth emulating. Instead of regretting on your deeds, handle them in more positive way. #Useful Tip- Don’t be over-confident! As a leader, giving motivation to others is important because it leads them to work even more efficiently and make them feel more energetic to do anything, Makes them Happier and Self-Confident and It’s a way to win trust of others and create a healthy relationship with them. Now, the next thought which arrives in mind is How to Motivate Others? Don’t show anger if they failed, motivate them to do better. It’s very important for a leader to use right tone of words to communicate with others. Sometimes, your words can’t exactly define what you want to say and others may take it in another way. So make sure your words always reflects your thoughts and to express yourself use polite language as much as possible. First rule of being understanding is to imagine yourself on the place of the others, then you can better understand their situation. A leader should be well known to his team-mates nature and their strength to guide them in a right way. To develop a better understanding as leader, listen to everyone, give them time to speak and later put your point and at last advise them according to your maturity level. A leader is the person who has many responsibilities of his team and work. So in order to being responsible as a leader, be reliable and take stands of your actions. And if something goes wrong, you must be the one to take the responsibility and resolve it. Most of us have knowledge only of the things related to our study, job and hobbies. But to lead others, one should learn new things to build a strong understanding with everyone. So friends plug-in all these qualities within you and turn yourself into a great leader.